Check out BRG parts in AZ! If you are going to the ABA BMX national in Arizona this weekend, be sure to check out our parts on the Pro Bikes – Donny Robinson will have Elevn Forks, Insight Seat, Mike Day will be using Elevn Forks and Insight plates, while a few other will have on our Wheels and bars! 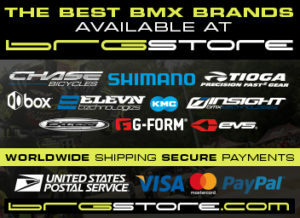 Also make your way over to Riders Bike shop to check out the parts as they are an offical dealer for us as well! See you there!